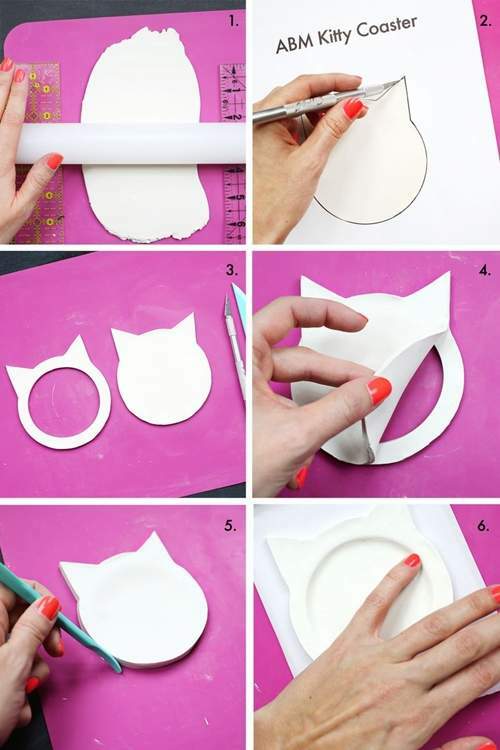 As a official "cat lady", you wont miss this cat shape clay coaster instruction.Pretty easy , usefull and fun ! Compare to the cat stuff bought from amazon, this will be much great. So, let get started ! 1. Roll out some clay that is at least 5" X 6" big and about 1/4" thick (I use acrylic rulers on either side that are the same height so my clay has an even thickness). 2. Print out the kitty template in the supply list and cut out the middle of the kitty so the outline remains. Use the outline as a template on the clay to trace around the edge with an X-Acto knife or clay knife. 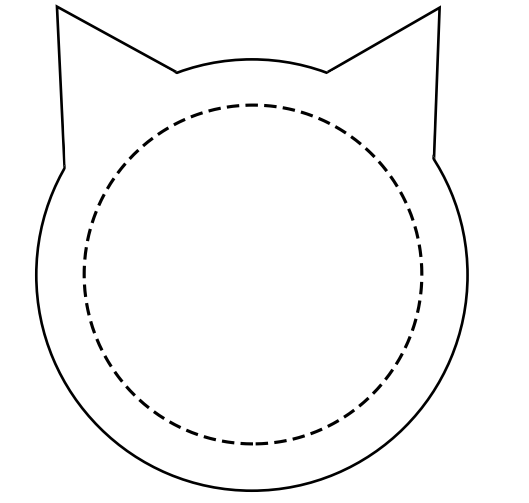 Cut the paper circle template on the dotted line and place it on the middle of the clay kitty. Cut out the circle (you can also use a circle cookie cutter here if you have one about the same size). 3. 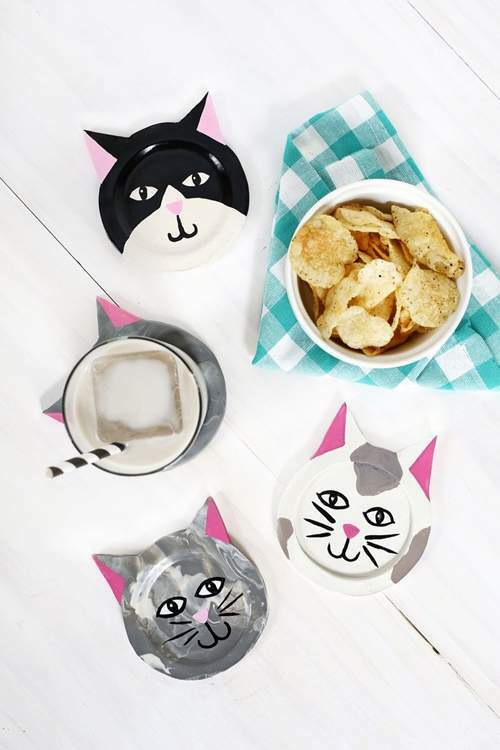 Roll out more clay and cut another kitty face using the paper template, but don't cut a hole in this one (the kitty with the hole will go on the bottom and help create an indent where your cup can rest). 4. Place the kitty without the cutout on top of the one with the hole, and line up all the edges. 5. Smooth the two edges together with the rounded end of a clay knife (or your fingers) to hide the seam. 6. Place the coaster on a piece of parchment paper so it's ready for baking. Then use the pad of your pinky finger to press down the middle of the top layer all the way to the edge so it sinks to the bottom and you have a nice round indent where you can set your cup. Bake according to instructions and allow the coaster to completely cool. Now comes the fun part! 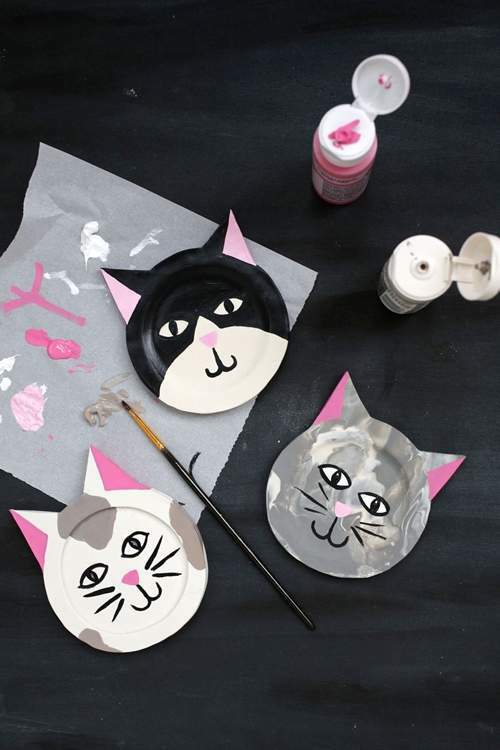 Use acrylic paints to decorate your kitty face however you like! Give it stripes, spots, sleepy eyes...the sky's the limit! 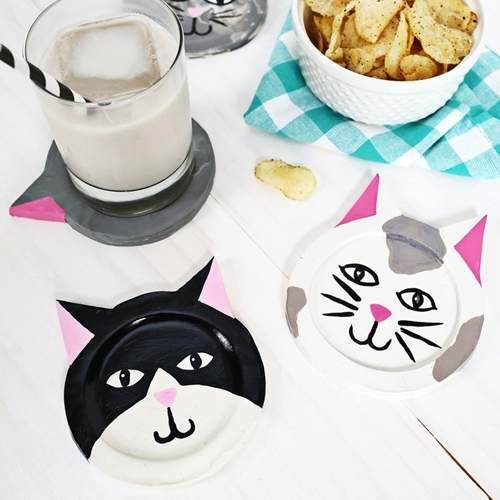 Allow the paint to dry fully before sealing with a clay sealer, and you're ready to let your kitty coaster get to work!